March 19, 2019, 6:00 p.m.
Moscow, USSR. 1930. The Pillar Hall of the State House of the Unions. A group of top rank economists and engineers is put on trial accused of plotting a coup d'etat against the Soviet government. It's alleged that they made a secret pact with the French Prime Minister, Raymond Poincare, and with other Western political leaders, aiming to destroy the Soviet power, restore capitalism and break up the USSR. All charges are fabricated and the accused are forced to confess to the crimes they never committed. The court, presided by Andrey Vyshinsky, who later became known as the diabolical prosecutor, key- figure in Stalinist show trials and the advocate of mass repressions, delivers death verdicts. I started working on a film about Stalin’s show trials, which were held in the USSR in 1930s, a couple of years ago. My initial idea was to edit the footage from different trials in order to show how the machine of Soviet terror was established, and how the system gradually took over the minds of innocent citizens. However, soon after I began studying archive materials, I discovered the footage, which I found to be absolutely unique. 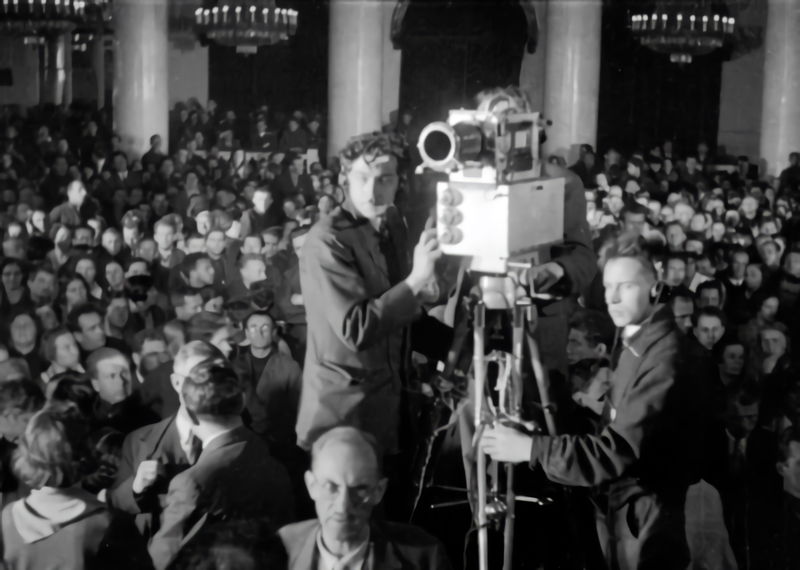 One of the trials – the Industrial Party trial – was filmed in all details, from the beginning to the end, and it was with sound. I decided to make my film about this trial only. I decided to make the film in such a way, as to give the spectators a chance to spend 2 hours in the USSR in 1930: to see and to experience the moment, when the machine of state terror, created by Stalin, was launched into action. This film is at once completely authentic and truthful – from the point of view of the material and the documentary method of shooting, and completely fake – as all the participants of the trial are telling lies, and they are all fully aware of that. My intention was to reconstruct the trial stage by stage. We restored and kept all the sound that was recorded in 1930. The only commentary I allowed myself to make in the entire film is right at the very end. I need this commentary in order to tell the truth, since it is impossible to learn the truth from any other episode of this documentary film. In fact, The Trial is a unique example of a documentary, in which one sees “24 frames of lies” per second. SERGEI LOZNITSA - director/script writer/ producer, was born on 5 September 1964 in Baranovici (USSR). He grew up in Kiev, and in 1987 graduated from the Kiev Polytechnic with a degree in Applied Mathematics. In 1997 Loznitsa graduated from the Russian State Institute of Cinematography (VGIK) in Moscow. Loznitsa has directed 19 internationally acclaimed documentary films and 4 feature films, all of which were premiered in the Official Selection of Cannes Film Festival. In 2013, Loznitsa launched a film production company ATOMS & VOID. Selected filmography: My Joy (2010), In the Fog (2012), Maidan (2014), The Event (2015), Austerlitz (2016), A Gentle Creature (2017), Donbass (2018). 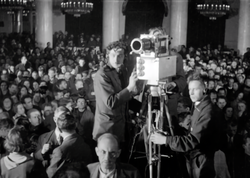 The film screening and masterclass are co-organized by the Vera and Donald Blinken Open Society Archive and the Visual Studies Platform at CEU.